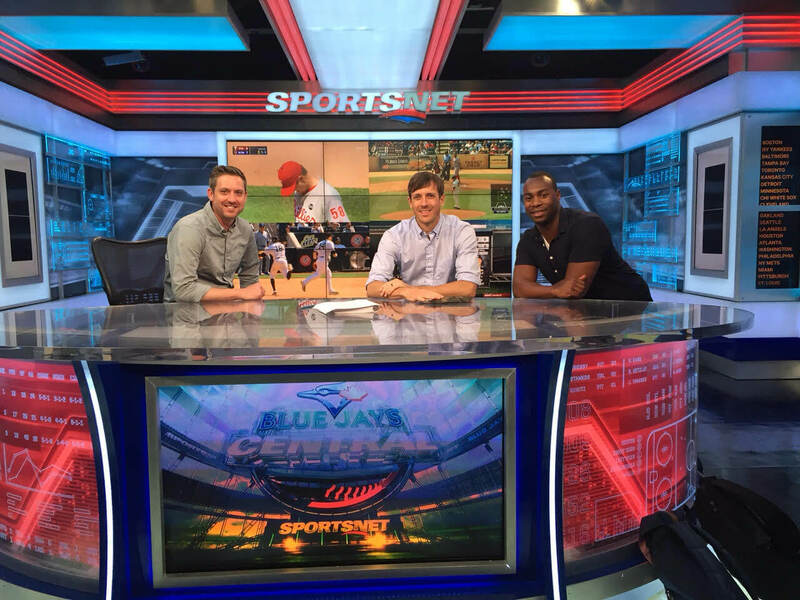 It’s not often that you get a chance to sit behind the Blue Jays Central Desk at Sportsnet but that’s what happened this week for CEO Jamie Garratt along with fellow rebels Lance and Seth. During Jamie’s visit to Toronto he and the team got a chance to visit our client Sportsnet’s famous desk where all the broadcasting magic happens. The guys didn’t get a chance to see if their baseball analysis skills match up to that of Jamie Campbell and Greg Zaun but they did snap a picture on set. During the visit to Toronto the Rebel team also got the chance to watch the Toronto Blue Jays in action as the took on the Chicago White Sox. Jamie, Toronto native and Blue Jays fan describes the game as the best one he’s ever been to describing the atmosphere during the bottom of the ninth inning as electric. Josh Donaldson gave the Jays the win with a walk-off three run home run, his second homer of the night. Giving the Idea Rebel team the perfect end to great night out. This week was the beginning to a great partnership with Idea Rebel and Sportsnet. The Idea Rebel team is looking forward to working with the sports broadcasting giant and is excited for the great things to come!